I LOVE buffalo chicken wings, but they are always high in calorie so I decided to give it a new spin. After cooling for a couple minutes dice the chicken up in small bite size pieces. While the chicken is cooking prepare the veggies and sauce. Mix all ingredients together and let sit until your chicken is complete. Once chicken has been diced add that to the veggie mixture and ENJOY! 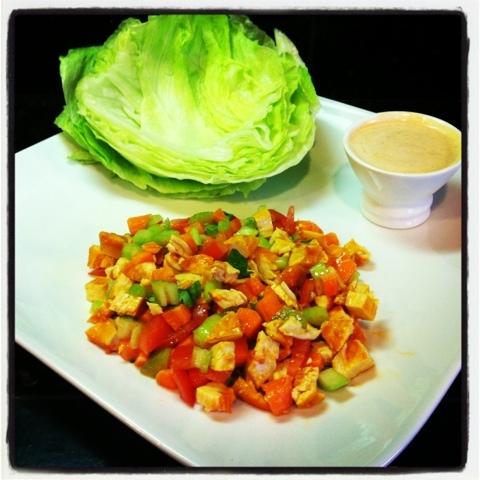 The entire meal including 7 leaves of iceberg totals 252 calories!